Senate President, Dr. Bukola Saraki, has said former President Goodluck Jonathan, was not ready for the presidency job when fate bestowed on him the leadership of the country. Speaking at the launch of Bolaji Abdullahi’s book “On a Platter of Gold – How Jonathan Won and Lost Nigeria”, in Abuja on Thursday, Saraki said the greatest factor in Jonathan’s fall from power was that he was not prepared for the position. He also noted that President Jonathan was not desperate for power. While recounting some of his experiences with Jonathan, Saraki said in 2011 he mustered courage to go and inform him about his intention to run for presidency. According to Saraki, what he got in reply totally put him off, because rather than frown at the idea, Jonathan shook his hand. “What I will recollect was the day I decided I was going to contest presidency. I felt that I didn’t want Jonathan to hear it as news, I booked an appointment to go and see him- I didn’t know what I was thinking that day. I went to the Villa, he said ‘come in, come in, how can I help you? 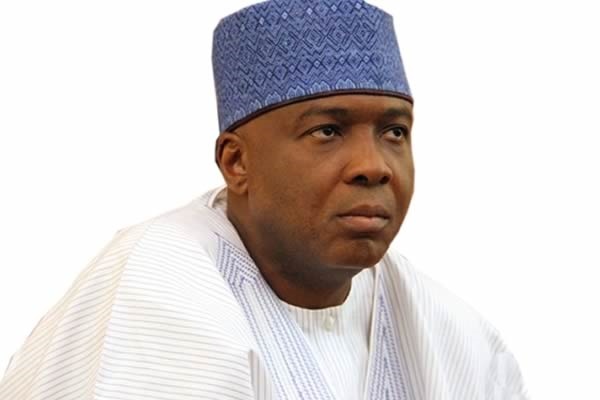 Saraki also painted another picture of Jonathan’s attitude to the fight against corruption, saying he once went to the former president to tell him about his discovery concerning the level of scam going on in petroleum product import business but was unsettled at his apparent nonchalant response. He said: “I booked an appointment to see the president, I went with my paper, I started with the background of how people brought in petroleum products. I said Mr. President, in the past, people used to get award letters from NNPC to bring in petrol, kerosene, and make 10, 20 per cent profit. “I said sir, they’ve taken it to another level; now, they get an order to bring in products they don’t want to make 10, 20 per cent any more. They will get an offer to bring in a cargo of 20,000 litres they will bring in 5,000 to be stamped for 20,000 and instead of making 10 per cent, they make ten times the amount. “I was telling the President thinking he will get very agitated, he said, ‘Senator Saraki, you know this oil business is very oily,” he said. On his assessment of the book on Jonathan, Saraki described the author as a man with great intellect, adding that the book is a very intelligent narration of events that took place in the last administration.